AVIXA will participate in the International Hotel Technology Forum (IHTF) on May 15-17 in Mallorca, Spain. The event aims to tackle the most pressing issues facing the industry with a lineup of interactive experiences, workshops, debates, roundtables, case studies, and interviews. As part of its strategic effort to increase awareness of audiovisual solutions in a variety of markets, AVIXA will host a session with executives in the hospitality sector, chaired by David Labuskes, CEO of AVIXA. The 30-minute session, titled Audiovisual Experiences in Hotel Design, will demonstrate how immersive audiovisual and control technology can elevate a brand and deliver real value to customers and the business. The session will take place Wed., May 2, at 1:45 p.m. CEST at Meliá Palma Bay & Palau de Congressos in Palma, Mallorca. 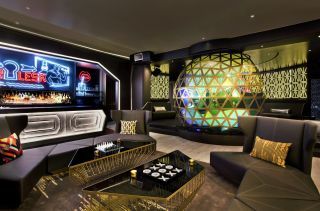 "We see audiovisual technology having huge potential in the hospitality sector," said Labuskes. "The tourism industry is realizing how integrated experiences can enhance offerings and help organizations to stand out from the rest. We are excited to engage with hoteliers at IHTF as proud sponsors of the event, and we hope to show them the outcomes that can be achieved with AV through real-world examples and a discussion of best practices for integrating audiovisual experiences into hotel design." Labuskes will be joined by Bill Lally, president and CEO of Mode:Green, and Darrin Hubbard, CIO of Six Senses Resorts. They will explore the role of audiovisual technology at Six Senses Resorts' planned Ibiza, Spain, resort, and in hospitality environments in general. The panel will discuss the latest audiovisual technologies and control solutions for creating exceptional hotel experiences, and the need for proper planning, design, and execution to ensure the audiovisual experience matches the hotel's requirements. In addition, the session will examine how the careful selection of audiovisual and control technologies helps ensure reliability, serviceability, and simplicity, and elaborate why working with designers and architects in the early phases of a project will maximize the experience and minimize intrusion on the overall interior design. The IHTF program is split into two tracks: one tackling technology issues, and the other focused on sales and marketing. Alongside the IHTF learning program, delegates and suppliers have an opportunity to take part in a series of pre-scheduled business meetings in which hoteliers are matched with solution providers. Additional information can be found at www.arena-international.com/ihtf/.